The country is specifically re-known for its beautiful scenery and that is why it is so far among the best travel destinations on the continent. This country has got beautiful that goes through out the year, all this persuades more tourists to come this destination. It has got a charming outlook that may be referred to as paradise. It has got various leisure activities for example, swimming, diving, sunbathing, discos, shopping and many others. Tourists who come to this country get opportunities of sleeping in very beautiful and spectacular rooms and suites were they may even forget to wake up. Inside the rooms you find TVs, radios, DSTV, and many other accessories. This is one among the world’s most spectacular island destinations. It has numerous tourist attractions some of which are the beautiful beaches, monuments, religious sites, historical forts, wildlife parks and reserves and so much more. Mauritius is popular for its sparkling natural beauty, the wonderful night life and the several scenic sites. all these make your visit to Mauritius very rewarding and quite memorable. Therefore, wait no further. Start planning your holiday today to Mauritius and enjoy the incomparable beauty and fun that the country has to offer you. Not only does Mauritius have the finest attractions, but those with the highest score of numbers of visitors as compared to the rest in the whole world. Listed below are some of such destinations. 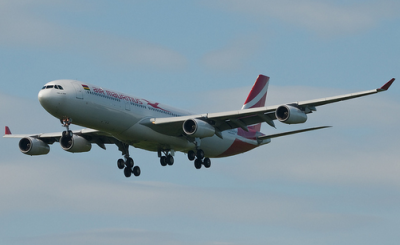 Other than Port Louis being the capital of Mauritius, it is also a center for commercial and government activities. It is one among the well-known tourism cities on this island visited by several tourists from across the globe. Some of the attractions that you shouldn’t miss here include: Mauritian Chinatown, Port Louis Theatre and Caudan Waterfall. You can ascend Mountain Signaux to have a holistic view of the entire city. Other than the sightseeing tour, tourists can pleasure in shopping in the booming markets, departmental stores and shopping malls so as to carry home as many as possible souvenirs from their tour in Mauritius. Black River Gorges National Park is one of the renewed national parks in this country, covering an expanse of 6,574m.the park was establishes with an aim of preserving the remarkable wildlife and vegetation cover and also turn them into the prime sightseeing features in the tourism industry of the country. The commonest species include Mauritius Kestrel, Parakeet, Olive-White Eye, Mauritius Fody, Flying Fox, pink pigeon, Grey White Eye and the Cuckoo Shrike. Beaches of this country are internationally renowned and a favorite destination for couples on honeymoon, and those celebrating anniversaries. They are also the main charm and their sparkling beauty attracts thousands of tourists from the world. During your honeymoon, be sure to visit beautiful beaches such as: Belle Mere Beach, Trou aux Biches Beach, Malheureux Beach, Grand Bay, Pereybere Beach, Flic en Flac and Grand Baie Beach. An opportunity to celebrate your special honeymoon in this country on the gorgeous beaches will certainly make this holiday a lifetime experience for the two of you. There have no delay in booking your honeymoon trip to Mauritius today to enjoy the special packages that they offer you in their very cozy and romantic destinations. 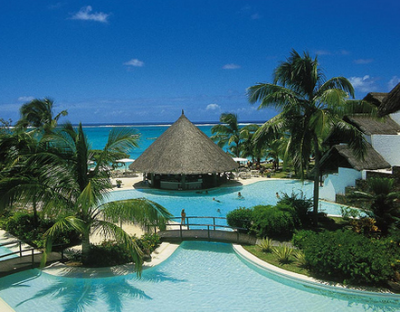 Definitely, Mauritius is one of the most favored holiday destinations in the entire south eastern Asia. Begin planning your trip today to catch up with all this exciting experience that will remain memorable to you for ages. Mauritius is one of the countries with the best hotels in the world. This country has got a number of raised lands and very nice beaches. It has got distinctive weather for tourists, they always enter the country at any time of there choice. As we talk today, this country is regarded a very strong tourist destination today. This hotel is located on an open tree- shaded beach opposite the bay aim its main aim is for out door living. This hotel is the only one with all- villa hotel and each 66 villas have got very nice espresso, surround-sound DVD/CD and a big flat screened LCD television leading onto a private garden with a pool and a double bed. At the end you will absolutely have a relaxed mind and that will be after taking pleasure in your delicious dinner. For those interested in games like golf, pick paradis, here you land on an opportunity to exercise your talent. Both hotels are situated these two hotels together share the five-mile extended beach in the island’s picturesque and lovely southwest corner. If you love playing golf, pick Paradis, where the coconut lined 18-hole route is just a minute away from the reception. Very close to it is the less significant, less chaotic Dinarobin, which has a grand new spa in a fabulous setting alongside the volcanic inclines of Le Morne. This would be best spot for fusion of lovers, since it is the tropical paradise. Mauritius is a destination, which is considered to be a tropical paradise. You can carry out a wedding from this place, and any other lovely function like honey moon due its charming outlook. The other reason as to why one should not miss out on coming to Mauritius is the all types of hotel with best accommodation all the time. You may arrange for honey moon. Wedding and type of function, it has the best privacy you can ever think of. Due to its beautiful environment, many tourists who like doing the exploration will have an opportunity to take pleasure in it. Various couples are usually brought together by the beautiful scenery, for example golden beaches, waterfalls, lush plantations and rain forests and many others. One of the best sites to be viewed during one’s vacation is the Grand bay which is found in Mauritius. This bay is believed to be a very beautiful and very nice spot that even has all kinds of leisure activities for examples shopping, discos, great cosines, and bars. However can as well find there other places that are as good as the grand bay. For those who would love to spend some good time near the natural beautiful scenery, you should come and witness the beautiful beaches in Mauritius. They are splendid and they are a memorable experience of life.